We are changing the face of choir, and we need your help. VocalEssence believes that singing together can unite our community. 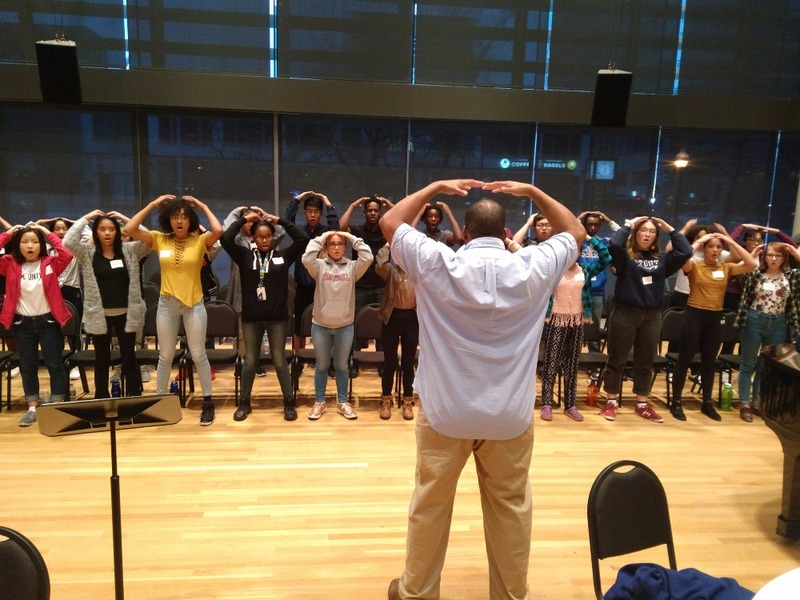 This year, 50 high school students from urban high schools in Minneapolis and Saint Paul will come together to form a new choir. But these are not your typical choir students and this is not your typical choir. This choir will sing, dance, write its own music, rap, and—most importantly—reflect the diversity of our community in its membership. To make the choir free for all members to participate, we need your help. Your support will help fund transportation and hot meals for the students at rehearsal. Rehearsals begin on Monday, October 30 at Orchestra Hall and run through June 4, 2018. Other rehearsal and performance venues include Augsburg University and The Ordway. Why invest in a choir? It's the smart thing to do. 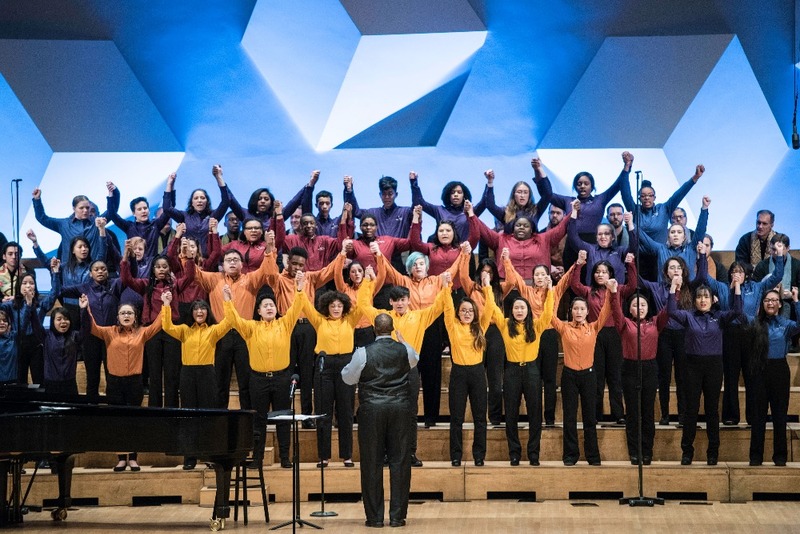 While studies have shown that singing in a choir boosts brain development and builds critical thinking skills, schools across Minnesota have been cutting choir programs left and right (especially in urban districts). This is the first of its kind anywhere, and we need your help to make it a reality. 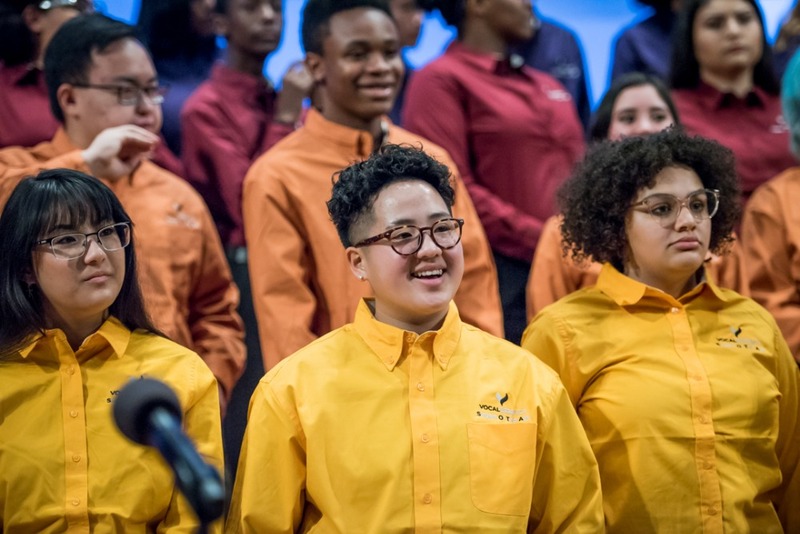 "When we sing these songs, it brings us together to form this great unity through our diversity," said one student from Johnson Senior High School in Saint Paul. "This is an event that we are going to remember for the rest of our lives." Help us unite our community in song, and change the face of choir in our community. 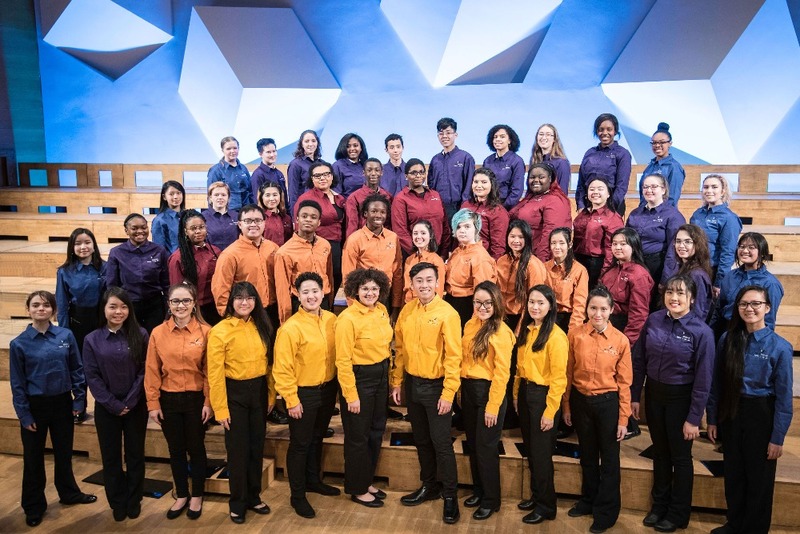 Funds for the remainder of the pilot year of the VocalEssence Youth Choir (official name for the choir will be chosen by the students) are provided by a Minnesota State Arts Board Arts Learning Grant. Hello all! I wanted to pass on a video of our new youth choir VocalEssence Singers Of This Age (SOTA) that you helped fund. These are amazing young people and we are so proud to have them part of our organization! Thank you again for making this possible. They did it! Our new youth choir just had their debut on the Orchestra Hall stage this past week and they rocked it! Thank you again for all of your support. I am pleased to announce that they have selected a name for themselves: VocalEssence Singers Of This Age or SOTA for short. We hope you love it too. Season's Greetings from the VocalEssence Youth Choir! It has been an amazing fall with more than 50 students now singing in the choir. Thank you for all you have done to support them as they grow. Here is a gift from them to you. The first rehearsal was a success! Below is a comment from a singer: "I feel very happy and welcomed... it was really exciting to meet new people that are like me and their own ways. I’m happy I followed through with joining and participating in the choir and I can’t wait to see everyone’s lovely faces next Monday."